We spent a day enjoying the autumn sun on the attractively designed Rhine promenade in Dusseldorf. In the gallery you can check out some pictures, it´s remarkable. 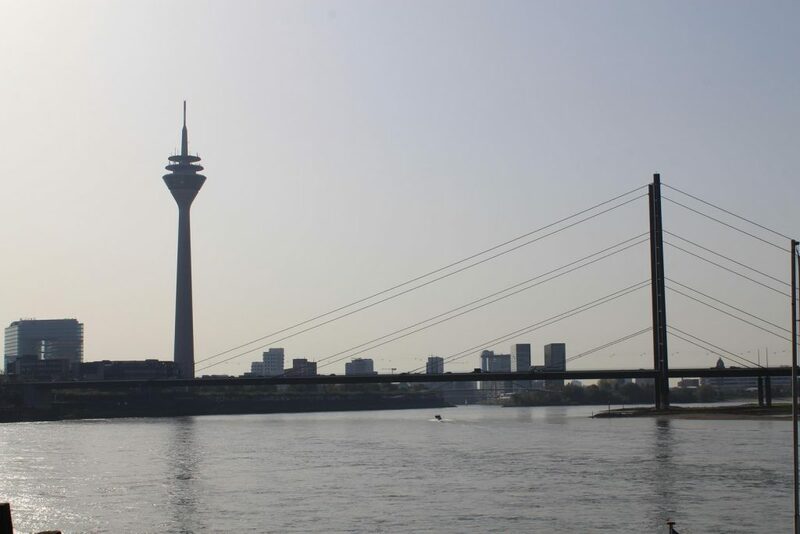 The most famous landmark of the 600,000 people city is undoubtedly the Rhine tower. With a height of around 240 meters, it is the tallest building in the city and the tenth highest television tower in Germany. On its side facing the old town, the landmark has a large “light sculpture”, that counts as the largest digital clock in the world. Every year, around 300,000 people take a trip to the viewpoint above the rooftops of the city. Those who´ve got more time to spend in the city can visit a broad offer of architectural highlights, nightlife and museums. The most famous churches are the St. Andrews and St. Lambertus. If you are in the mood for something unusual, you can also spend your day in the EKO House of Japanese Culture. Here you will find a Japanese-style botanical garden, founded about 150 years ago. Meanwhile, the largest Japanese community in Germany has settled nearby, maybe caused by the only Japanese temple in Europe. By the way: Dusseldorf is known in Germany for “die längste Theke der Welt” or in English: “The longest bar counter in the world”. But: Anyone looking for an unbelievable huge pub will get weird looks from the residents. As this saying is just proverbial and there is no oversized counter anywhere in the city on the banks of the Rhine. The saying is more likely to draw attention to the enormous concentration of pubs in the city center, which is adjacent to the famous “Königsallee”.On about half a square kilometer around 250 bars, pubs and restaurants are located. There you can get a local specialty called “Altbier” – translated this means “old beer” and refers to the old tradition of brewing beer. Till now, it is often made in small in-house breweries and poured everywhere. The following and last stop of our trip was Cologne. Check it out in my next post, the city is gorgeous!